Pregabalin (sold under the brand name Lyrica) is prescribed as an anti-epileptic and a painkiller for nerve pain. Australian prescriptions of pregabalin have risen significantly in the past five years. It’s now in the top ten most expensive medications for the Pharmaceutical Benefits Scheme (PBS). We’ve also seen a rise in “off-label” prescription of pregabalin. This means it’s being prescribed for conditions for which there is limited evidence of effectiveness. Pregabalin is often prescribed for chronic or persisting pain, for example, even when there is no clear nerve-related cause. Pregabalin is thought to have effects in the brain similar to those of benzodiazepines such as diazepam (Valium) by indirectly increasing levels of the neurotransmitter GABA. Until recently, researchers and doctors did not think pregabalin was addictive. But now studies suggest pregabalin may also have an indirect effect on the brain’s reward chemical, dopamine. 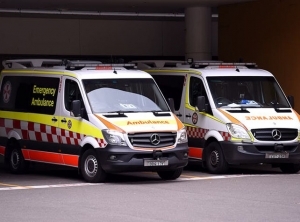 Our research, published today in the Medical Journal of Australia, shows ambulance call-outs associated with the misuse of pregabalin have increased tenfold in Victoria since 2012. This mirrors an increase in prescription rates. In 2010, the first study was published that reported on a trend of pregabalin misuse. Since then, several international research articles have documented misuse, including using higher doses than are recommended. At higher-than-prescribed doses, pregabalin causes sedation and euphoria. People who use opioids – painkillers like oxycodone, or illicit opioids such as heroin – have a particularly high risk of misusing pregabalin. So do those with a history of substance use problems. People who use illicit drugs report often using pregabalin in combination with other drugs. Pregabalin has been implicated in drug-related deaths in individuals who weren’t prescribed the medication, and often in combination with other sedative medications or illicit drugs. High rates of pregabalin use are also reported in secure environments, such as prisons, in both Australia and the United Kingdom. We analysed a unique database (the Ambo Project) that documents all ambulance attendances related to alcohol and drug use and mental health in Victoria. We found pregabalin-related ambulance attendances increased tenfold between 2012 and 2017, from 0.28 cases per 100,000 population to 3.32 cases per 100,000. Pregabalin misuse contributed significantly to 1,201 call-outs from 2012 to 2017. Pregabalin has a sedative effect, which can be compounded when used with other drugs that cause sedation, including alcohol, or other prescribed medications such as benzodiazepines and sleeping tablets (such as Valium). More than two-thirds of pregabalin-related ambulance call-outs were for people who also used other sedatives. Almost 90% required transport to hospital. In some situations, such sedation could be life-threatening. Our findings of rising harms, especially from co-use with other drugs, echo findings from a New South Wales research group that used data from poisons hotline calls, hospital admissions, and coronial reports from drug-related deaths. Doctors need to ensure patients are provided with the opportunity for careful and considered informed consent. Pregabalin is a high-risk medication, especially when used with other sedatives. Although some doctors are aware of the side effects and harms associated with pregabalin, many are not. The Royal College of General Practitioners recently warned doctors to carefully assess the risks when prescribing these medications, particularly for people who are also prescribed opioids or benzodiazepines. NPS MedicineWise also recently highlighted the need for prescribers to exercise caution. Better regulation is also needed. Some Australian states including Victoria plan to implement real-time prescription monitoring (RTPM). This would allow authorities to monitor and regulate access to high-risk medications such as opioid painkillers (oxycodone or similar) or benzodiazepines. But pregabalin is not on the list of medications that will be captured by real-time prescription monitoring. To reduce the high risk of harm from pregabalin misuse, we should consider adding this drug to the list. In the United Kingdom, pregabalin will become a “scheduled” or controlled medication from April 2019. This means doctors will need to apply for a permit before prescribing it. If this is found to be successful, Australia should consider following suit.